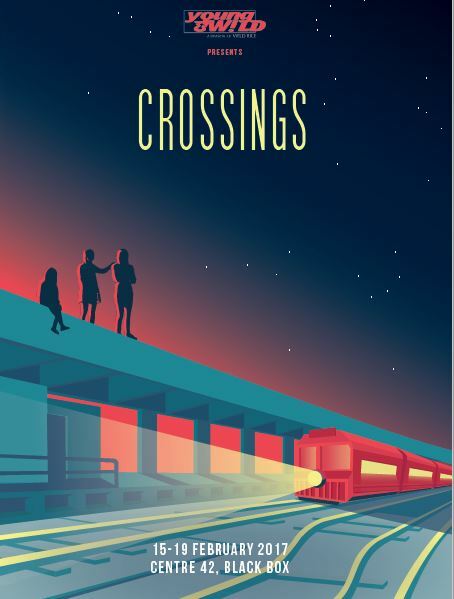 Bold, inventive and thought-provoking, young & W!LD’s Crossings is a celebration of new Singapore voices and talent. The eight members of young & W!LD, from the ages of 19 to 24, came up with the stories, characters and themes that will feature in Crossings via improvisations and devising workshops. With their help, Rodney Oliveiro, their programme co-director, put together the final scripts of both plays. The current cohort of young & W!LD embarked on their 18-month training programme in February last year. Since then, they have gained valuable experience in devising and performing their own original work. Following months of intensive workshops, they presented When S#!T Hits The Fam, an experimental piece that explored the trials and tribulations of family life, in May 2016.